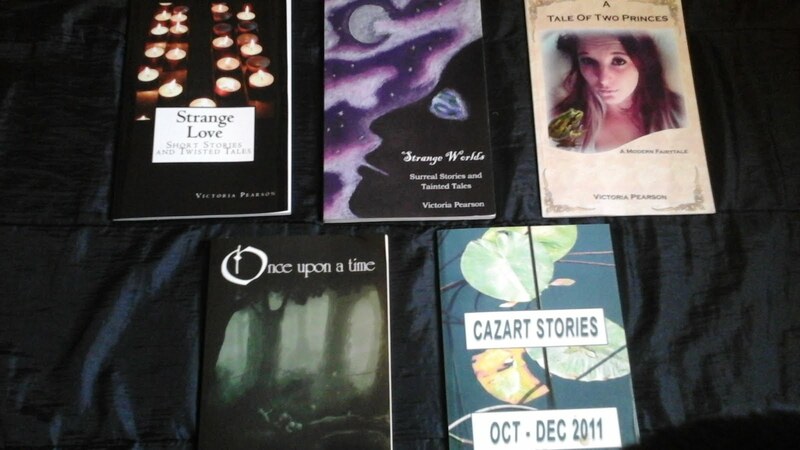 Read short stories, random musings and poetry from Victoria Pearson, author of the Strange Stories series and A Tale Of Two Princes. The Labour party's spectacularly shambolic coup attempt took another two major blows yesterday, both in the High Court and in the NEC elections, and the reactions have been extraordinary. For those who missed the millisecond of coverage on the BBC, yesterday the High Court ruled that advertising membership of the Labour party with the wording “New members will be able to vote in Leadership elections” meant that the NEC had no authority to impose a retroactive freeze date on new members voting in the upcoming election, effectively returning the vote to the 130k voters who had lost out. This also means that those members who then managed to scrape together the ridiculously inflated £25 to vote are likely to be refunded (which is good news for me, as a member of a low income household, but also saddens me because it meant I sold treasured possessions for no reason). There was immediate talk of an appeal, which would be funded through members donations. A large chunk of the membership are understandably incensed by this, given that they pay their fees on the understanding that their money will be going towards supporting the party and fighting Tories, so a petition has already been started to block the party from fighting the decision using member’s money. I am convinced the members will win again – the law is very clear on misselling – so it seems this is just another way to splinter the party further. The NEC election result was another indicator of strong support for a more socialist, traditional Labour party, with all six “left field” candidates storming to victory on a massive margin. We are consistently told by the right wing of the labour party that social media success has no bearing on election results, but the opposite seems to be the case in this instance. All six candidates were heavily supported on social media (particularly twitter). Perhaps social media won’t make an impact in a General Election, but it certainly makes an impact within the party, and that’s a strong start. Like I’ve said previously, a strong, united membership could be an election winning tool, if they are properly guided on how to campaign for Labour. What has shocked me, is the reactions among the right wing of the party. Ok, so none of us like when a vote doesn’t go our way, but that’s democracy. Surely, as we are all members of the same party, and therefore members of the same team, this is the point (had it not passed already) where we start to put electoral success above petty factionalism and unite against the Tories? Brexit will cause uncertainty, instability in the markets and give Conservative governments Carte blanche to roll back all of those pesky rights that put the needs of people above the profits of shareholders. We desperately need a Labour government to see us through this unprecedented period of change. It beggars belief that the plotters are continuing to undermine the party that they are members of, and cause such disunity when the electorate need them so desperately. None the less, over the last 24 hours I have personally seen some of Owen Smith’s most vocal supporters say that a party split is inevitable, that they will actively undermine Corbyn at every turn, and that they would rather vote for Theresa May than Jeremy Corbyn. All anonymous accounts of course, so they wont be picked up by Labour's compliance unit. What shocked me the most, was that I’ve even seen Labour councillors say that they would rather vote Tory than unite behind Corbyn. Saying something like that, as a key figure in the labour party, on a public forum is beyond all reason. It is self defeating in the extreme, and I can only conclude that self interest is far more important to that person than the needs of vulnerable people who urgently need a Labour government. I’ve stayed quiet on the subject of Tom Watson for now. He wouldn’t have been my first choice for deputy party leader, but I had high hopes for him. As a perpetual fence sitter, he was fairly well placed to unite the different sides of the party, hear both sides and appeal for unity, for the good of the public, who deserve a strong opposition at this time. Instead he decided to launch a bizarre and barely coherent attack on the party membership, through the Guardian newspaper. I don’t know how Watson intended this to come across, but he must see that it’s massively insulting to the membership. At 31, I’m a little too old to be classed as a young Labour supporter, and I’ve definitely not had my arm twisted by anyone. To suggest that any young supporter of Corbyn must have had their arm twisted is insulting to their intelligence. People want Corbyn for his policies, his polite method of debate, and his vision to return the party to its roots. To suggest that people want socialism because they have been intimidated, are brainwashed cult members or are being influenced by entryists is dismissive in the extreme, and won’t serve Watson well at all. So given my age, I have to assume that, as I’m a new member, Watson must think I’m a Trotskyist. Never mind that 180,000 people joined up as registered supporters and there are barely enough “Trots” in this country to fill a small village hall, (indeed, even Owen Smith could muster up as much support as the SWP, if he gives out free ice cream); we live in a post-fact political landscape, so that doesn’t matter. Watson says I’m a trot, so I must be. I must have been expelled in the 80s, despite being an ova then. I must have been an in utereo hard leftist. So here we are now. The leadership takeover bid lies in tatters, Owen Smith hasn’t been seen since his disastrous performance in the first hustings debate, his supporters swing between cheerleading the Tories and furious denials that they are losing, the members are having to look into an injunction to prevent their money being misused to fight the High Court and instead of calling for unity, the deputy leader took to a national newspaper to smear the new members of his own party as Trotskyist Entryists and silly children who are being manipulated. Never a dull moment in the Labour Party! I think I will go and amuse myself by scrolling through the #TrotskyiteTwist hashtag on twitter.